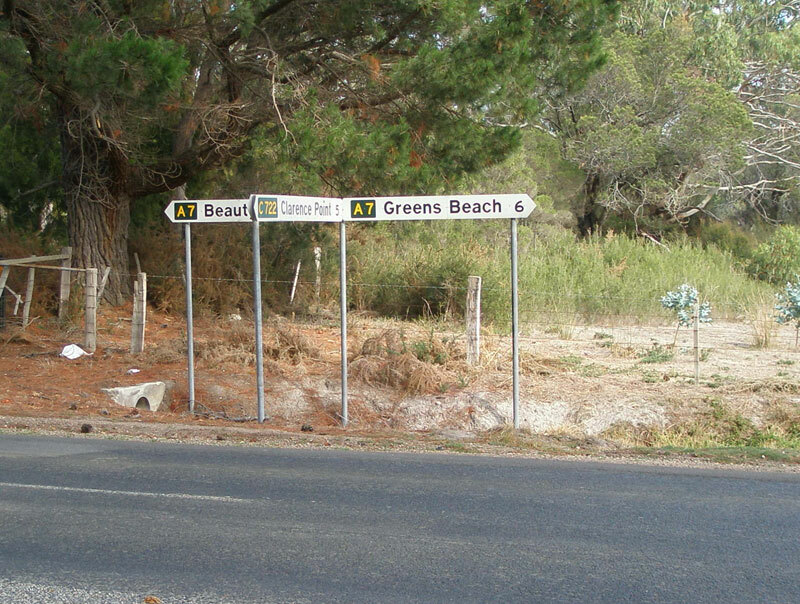 Fingerboards at the southern terminus of C722 - the junction of Greens Beach Rd (A7) & Clarence Point Rd (C722). Source: Peter Renshaw, April 2007. 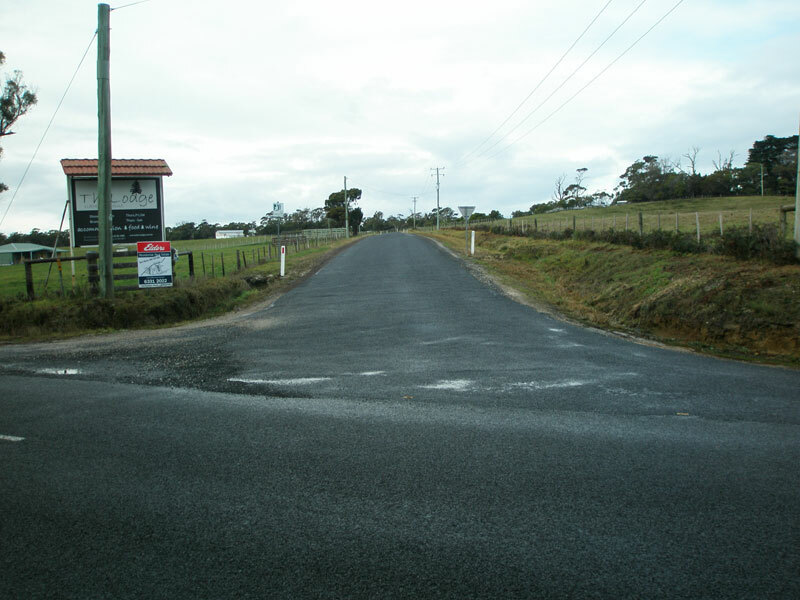 Route C722 is a minor rural route in northern Tasmania, forming a loop from the A7 via the tiny fishing village of Clarence Point. 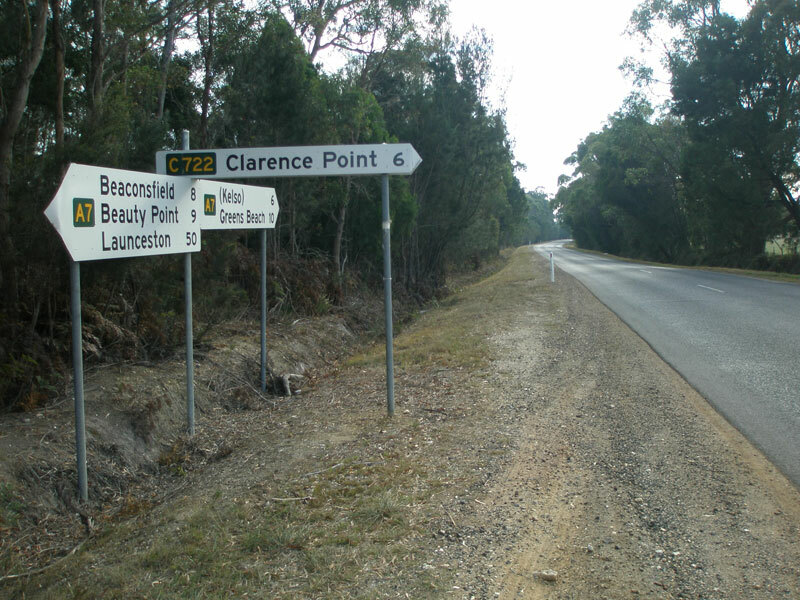 The Clarence Point Road section of the route is sealed (the southern arm), however Bevic Road - the northern connection to the A7 - is unsealed. 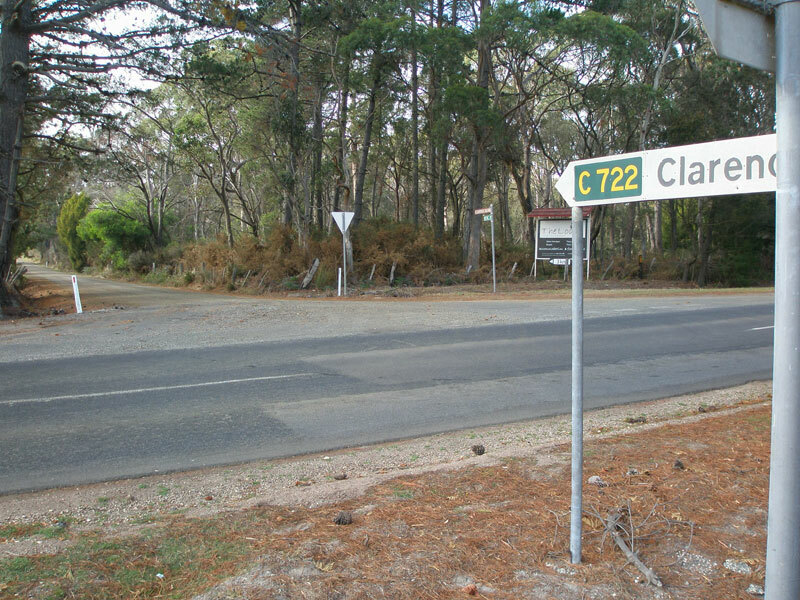 Route C722 has a spur route along Sunset Boulevard, extending 2km south-easterly to the end of the road at Anchor Point, on the shore of the Tamar River. 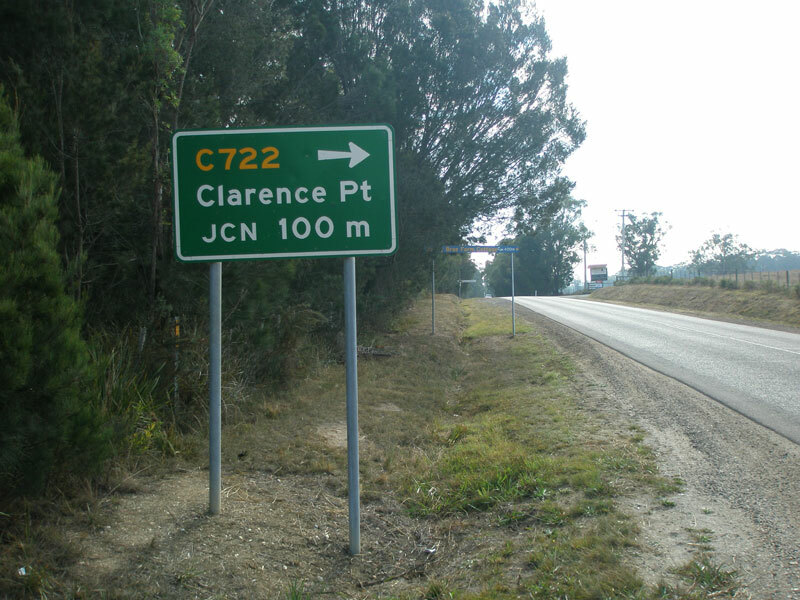 AD sign northbound on Kelso Rd (A7) approaching Clarence Point Rd (C722). AD sign southbound on Kelso Rd (A7) approaching the junction with Clarence Point Rd (C722). 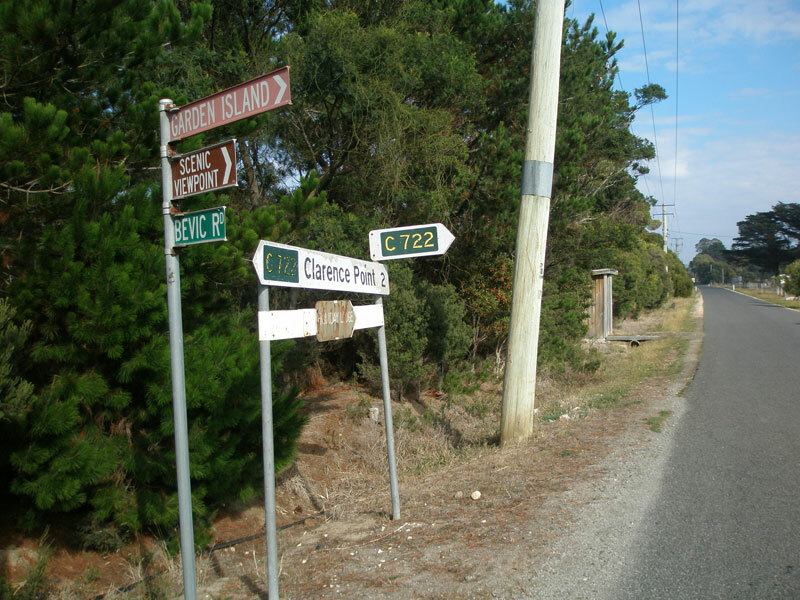 Fingerboards at the southern terminus of C722 - the junction of Kelso Rd (A7) & Clarence Point Rd (C722). Clarence Point Rd (C722) looking east from the junction with Kelso Rd (A7). 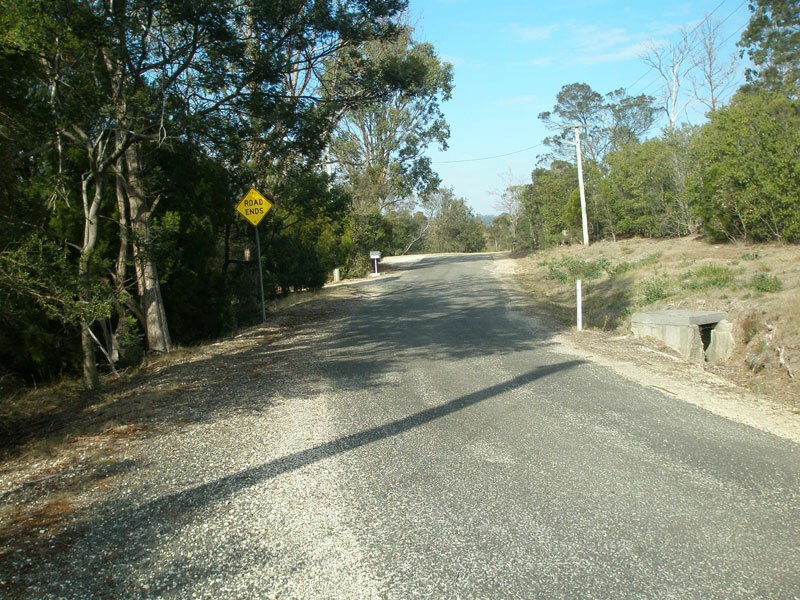 Looking west along Clarence Point Rd (C722) between Greens Beach Rd and Clarence Point. 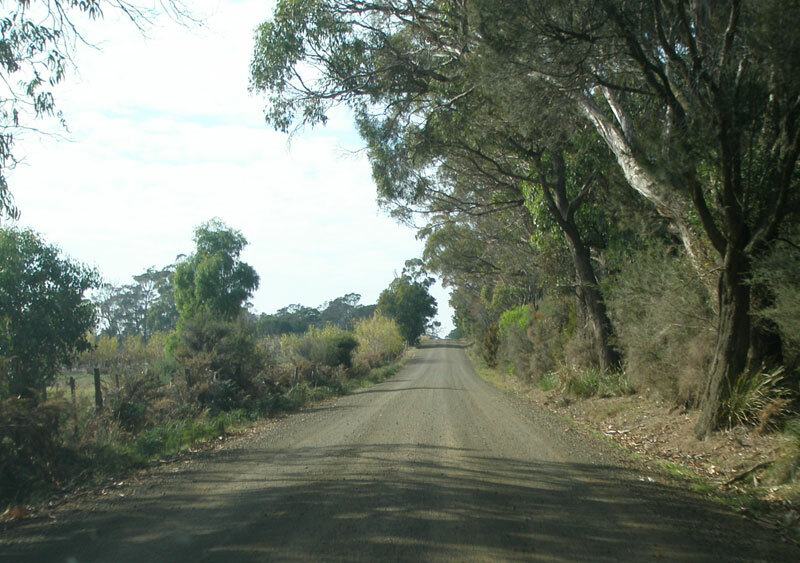 An avenue of trees, looking east on Clarence Point Rd, 3km west of Clarence Point. 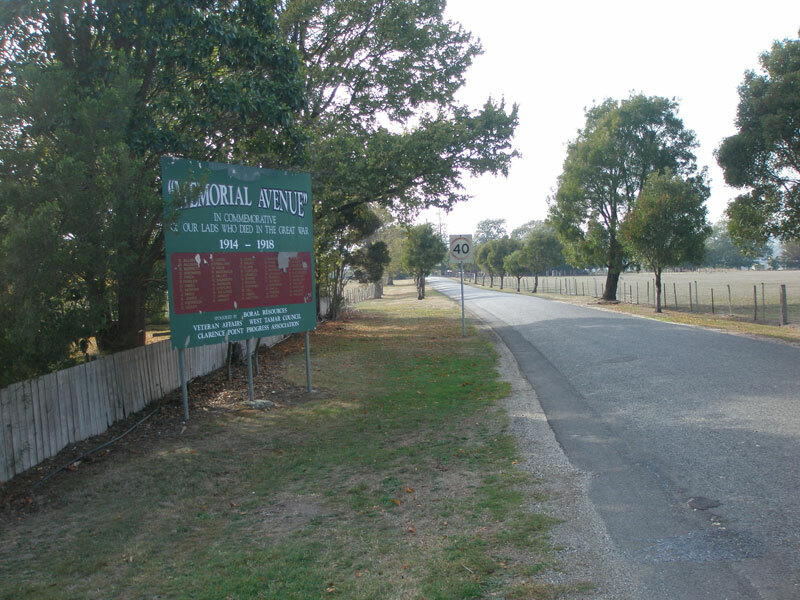 Clarence Point Rd (C722), looking east in Clarence Point along the World War 1 memorial avenue. 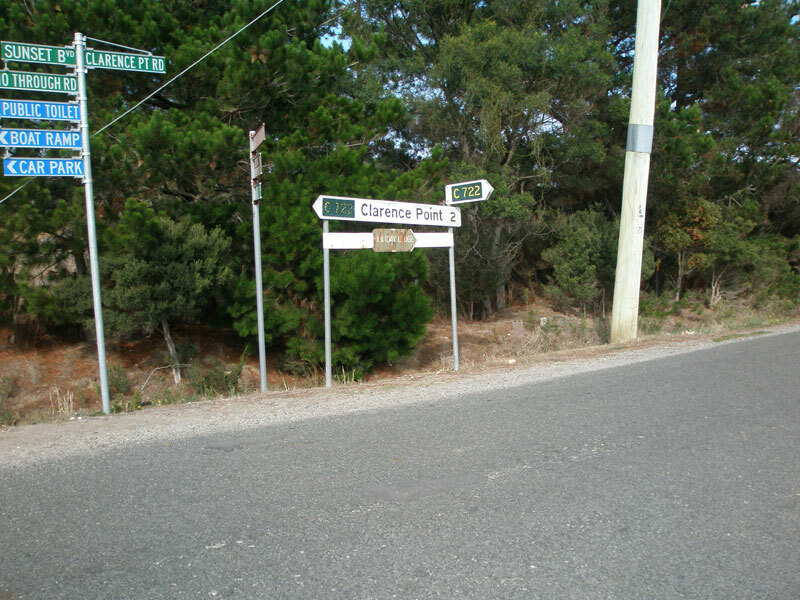 Fingerboard signs at the junction of Clarence Point Rd & Sunset Boulevard, showing C722 spur via Sunset Boulevard. Also note the use of the route marker only for southbound traffic - even 'To A7' could have been used. Another view of the fingerboards at the junction of Clarence Point Rd & Sunset Boulevard. Sunset Boulevard at its south-eastern end - this is where the spur of C722 would end. 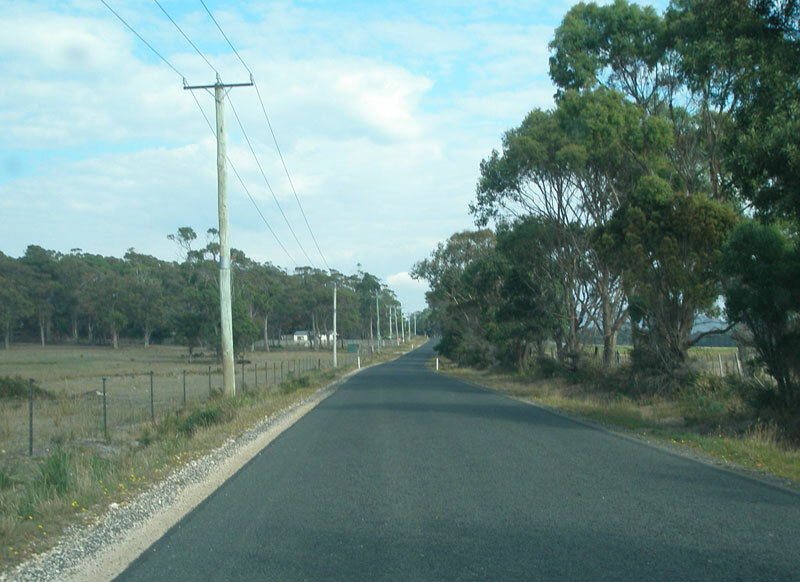 Looking east along Bevic Road (C722) from Kelso Rd (A7) - the northern arm of C722 is unsealed as most traffic comes from the south. 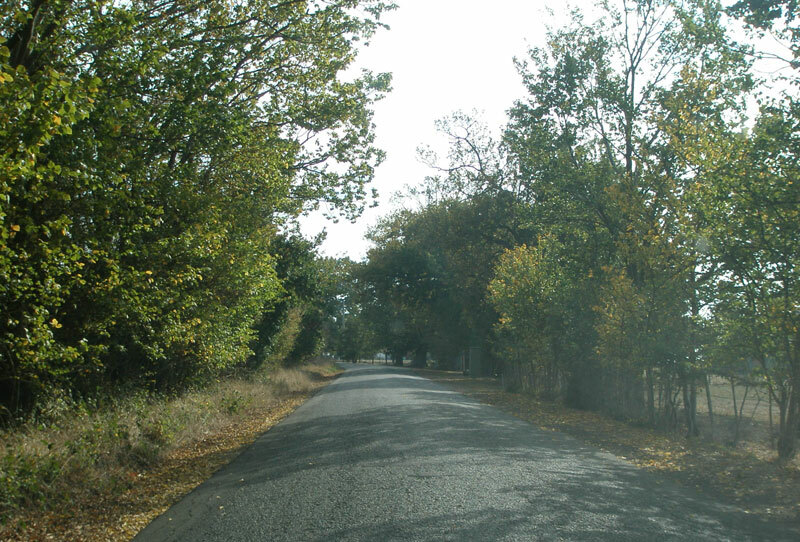 Looking east along Bevic Road (C722) at the junction with Kelso Rd (A7). 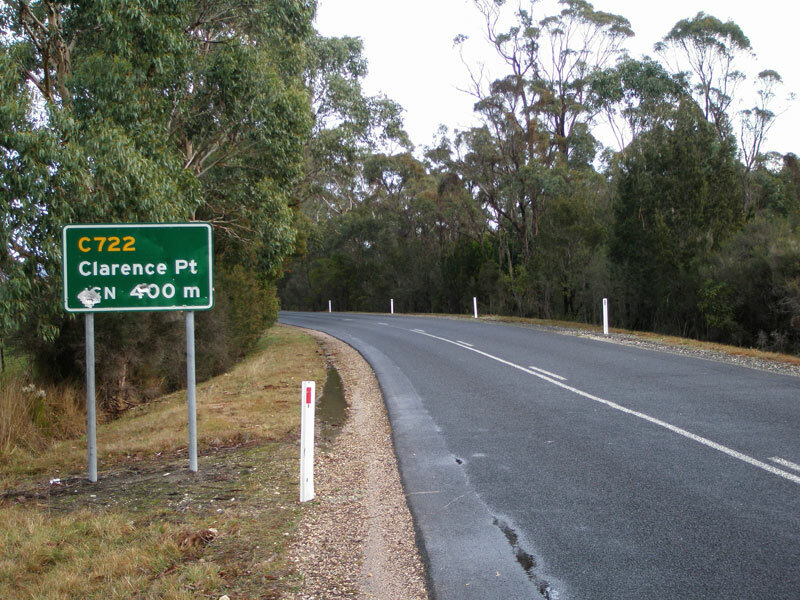 Fingerboards at the intersection of Kelso Rd (A7) & Bevic Rd (C722), the northern terminus of C722.